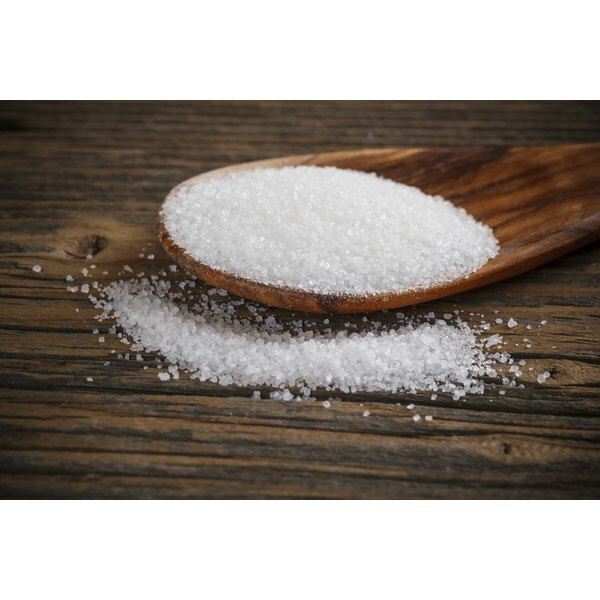 Sugar, also called table or white sugar, is pure sucrose obtained from sugar cane, sugar beets or other vegetable sources and processed into granular form. Commonly used as a sweetener, sugar contains little nutritional value other than the calories it provides. 100 Grams Sugar has 375 Calories and 100.00 g of Carbohydrate, by difference per 100 gram serving according to the nutrition facts provided by the USDA Food Composition Database. A 100-gram portion of sugar contains 387 calories, according to the U.S. Department of Agriculture database. Carbohydrates comprise the entirety of that measure. There are no proteins, fats or cholesterol in sugar. There are only trace amounts of other nutrients, such as vitamins, minerals or dietary fiber, in 100 grams of sugar. High amounts of dietary sugar can increase your risk of tooth decay, nutritional deficiencies, diabetes, obesity and heart disease, warns the Oklahoma State University Cooperative Extension website. As such, you should consume sugar in moderation.